When it comes to our family dog, Gizmo, sometimes we wonder who rescued whom. Saved from an unhealthy living situation by a local dog rescue organization, he arrived at our doorstep five years ago. Timid and sad at first, he fast became a beloved member of our family. He&apos;s our No. 1 squirrel protector and our best walking buddy, and he&apos;s always there to offer a warm cuddle and unconditional love. 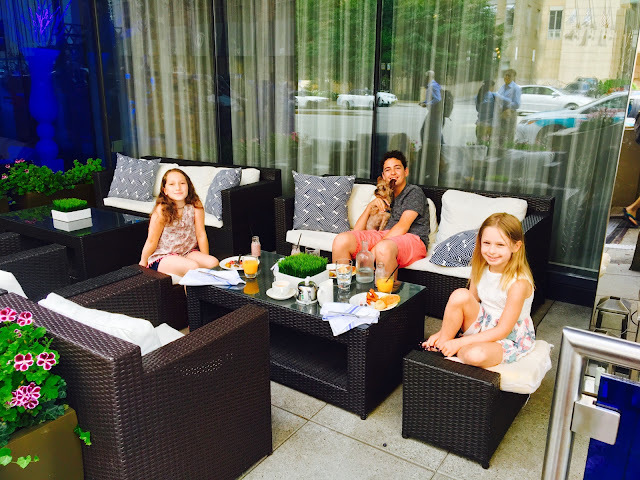 So naturally our family has been delighted to discover two amazing Chicago brunch venues—and even a luxe hotel—that welcome humans and their animal friends with open arms! The Patio at Café Brauer celebrates the Dog Days of Summer every Saturday and Sunday with its fabulous, dog-friendly brunch. 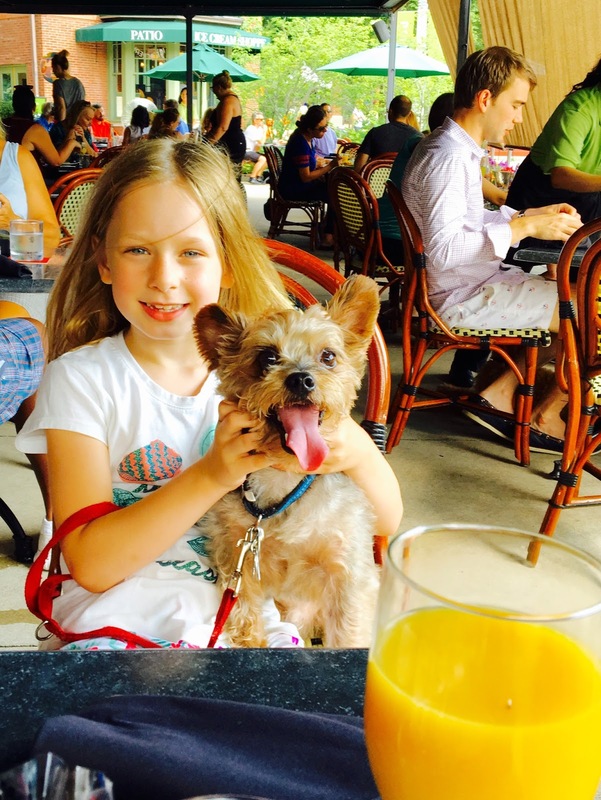 Bring your pooch to the Lincoln Park Zoo&apos;s al fresco restaurant and bar, which overlooks the zoo&apos;s beautiful Nature Boardwalk, for the most smile-worthy brunch in the city. Humans can indulge in delicious brunch favorites including blueberry buttermilk pancakes, chilaquiles, made-to-order omelets, pressed panini, burgers and more, while their pooches are presented with a water bowl and some tasty treats of their own. Pups will want to splash around in the ball-filled kiddie pool or take a lovely leashed stroll around the boardwalk post-brunch. Our Gizmo had an absolute blast at this brunch and enjoyed getting to know his fellow canines. You&apos;ll want to make a reservation in advance for this popular brunch: email patio@lpzoo.org or call 312-507-9053. I can&apos;t even express how delighted my two kids were to take Gizmo along on this special, staycation overnight. Though we live in Chicago, staying "downtown" is always a treat: with Gizmo in tow, we enjoyed walking along the nearby lakefront and exploring Millennium Park and kid-paradise Maggie Daley Park. In the morning, we happily made our way down (Gizmo&apos;s first elevator ride!) to Filini for the unlimited brunch. We sat on the comfy patio, where we enjoyed eggs benedict, made-to-order omelets, an oatmeal bar, fresh pastries and oh so much more, while Gizmo enjoyed a kibble breakfast beside us.